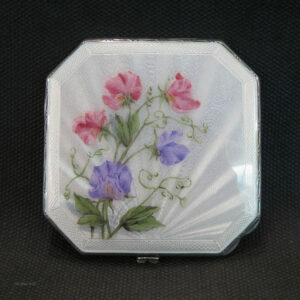 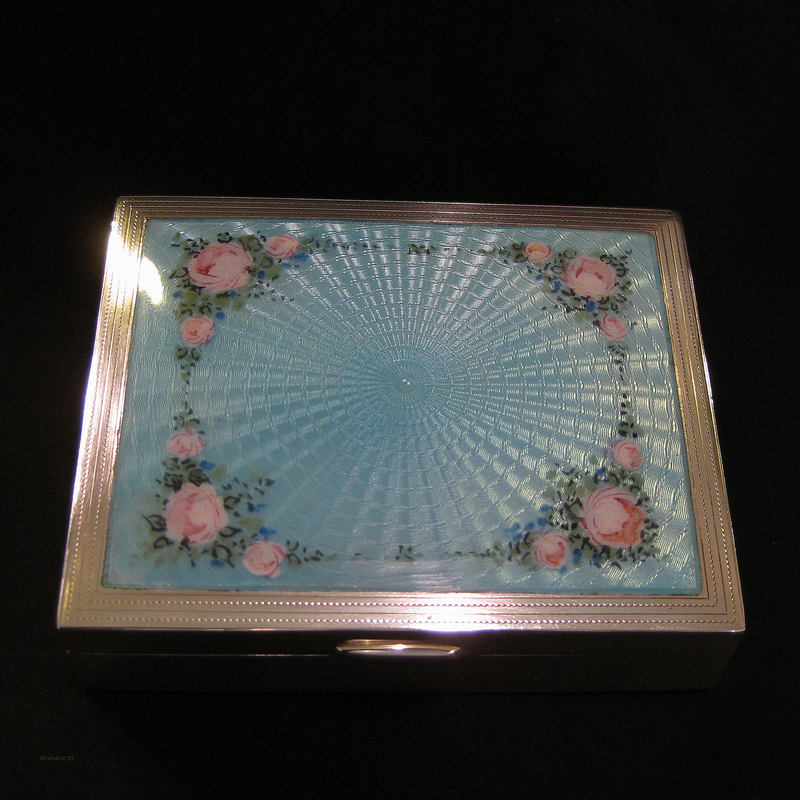 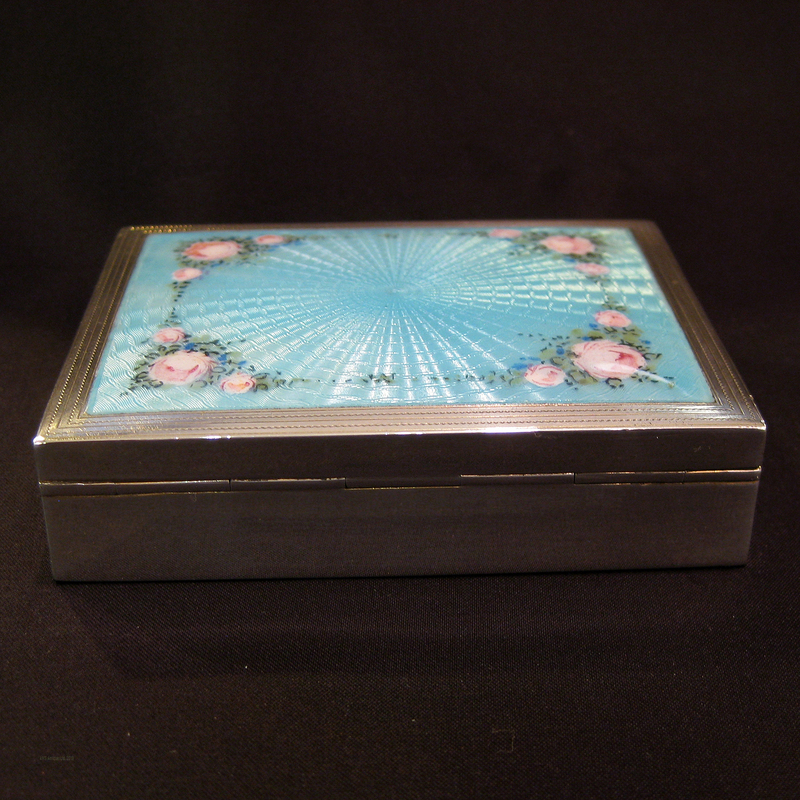 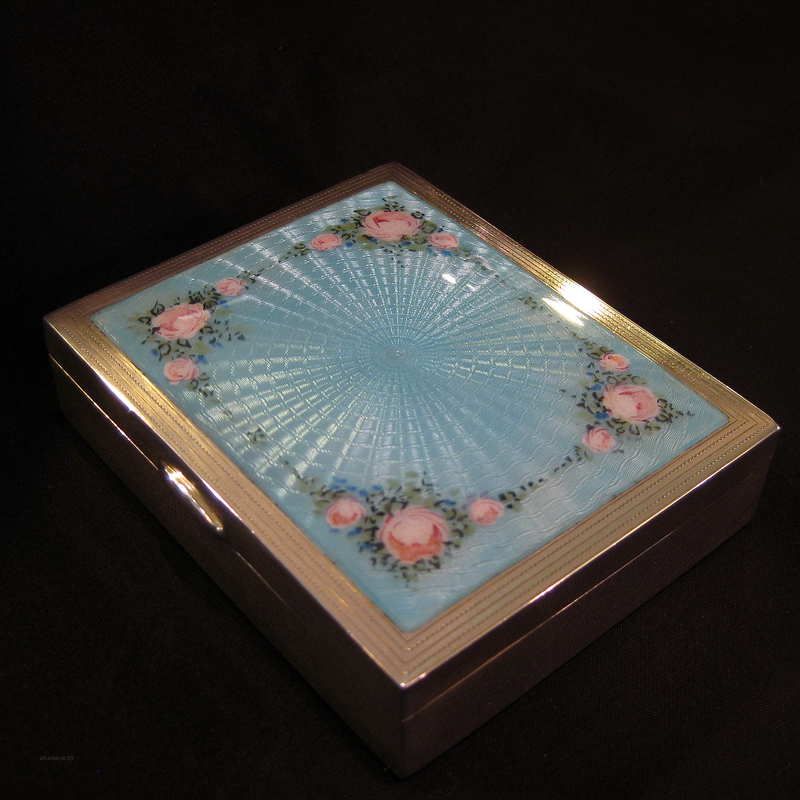 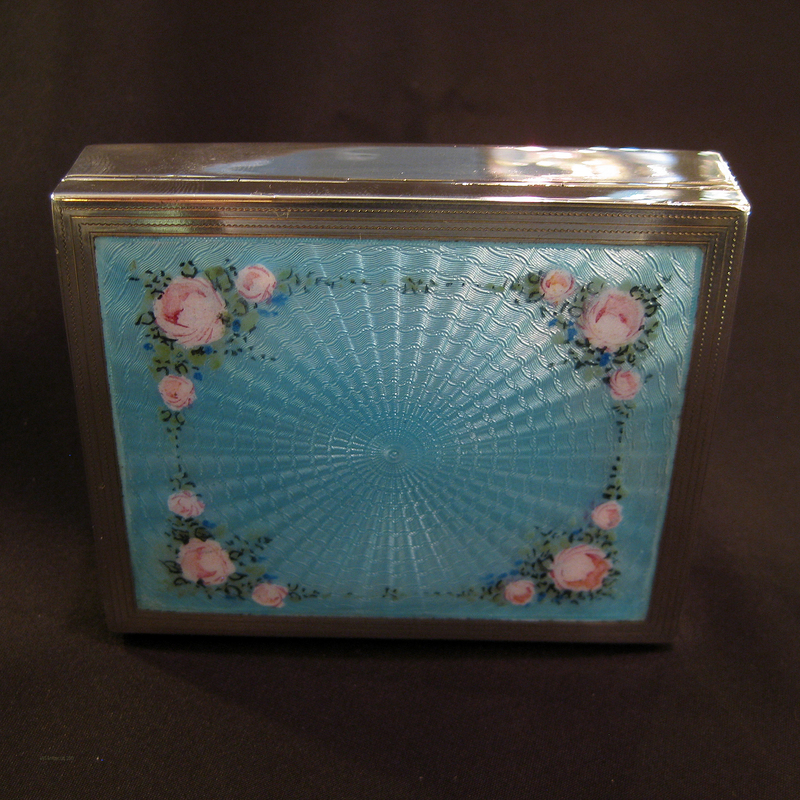 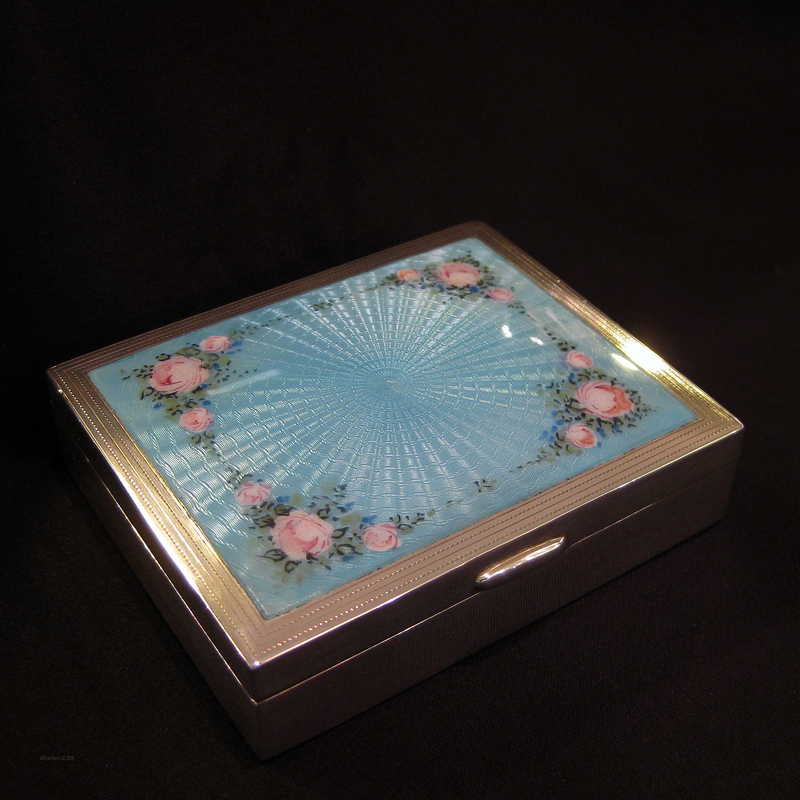 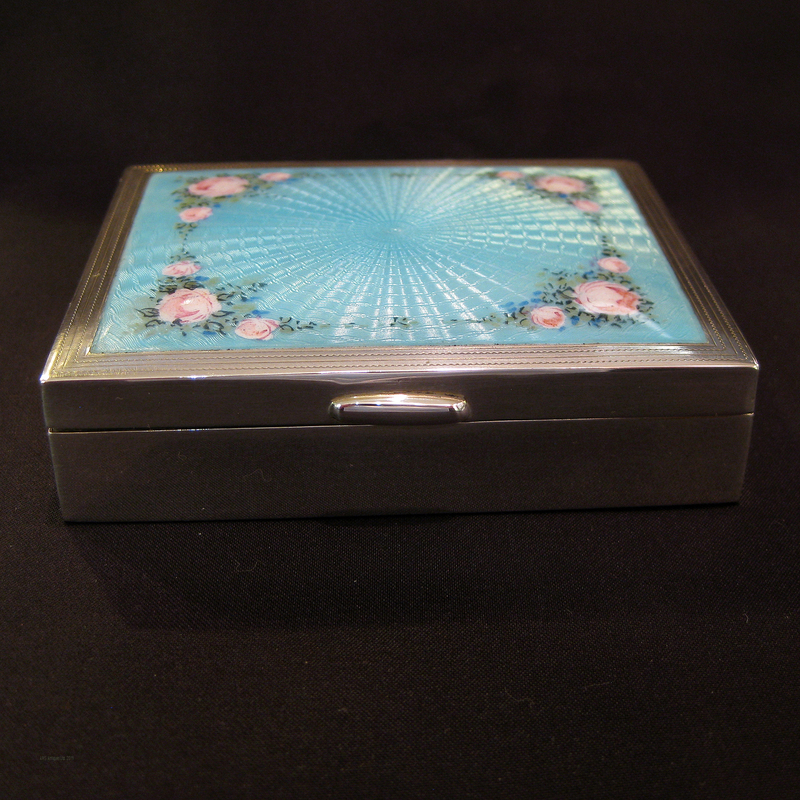 A delicately painted sterling silver make up necessaire ,with powder blue enamel and painted pink roses. 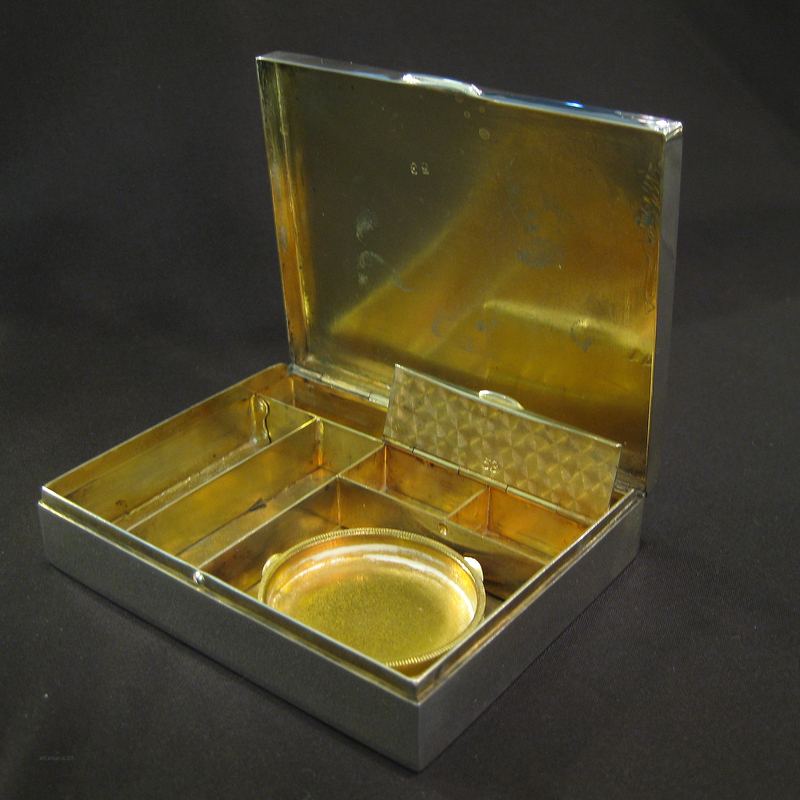 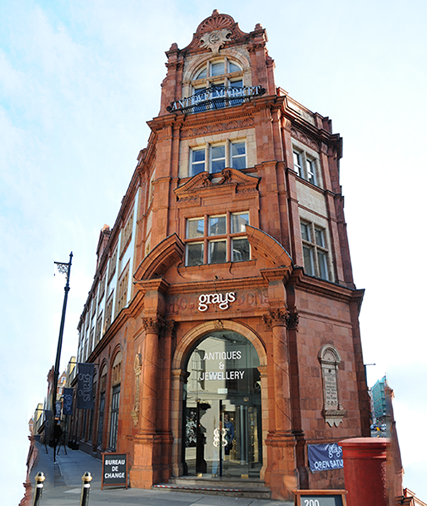 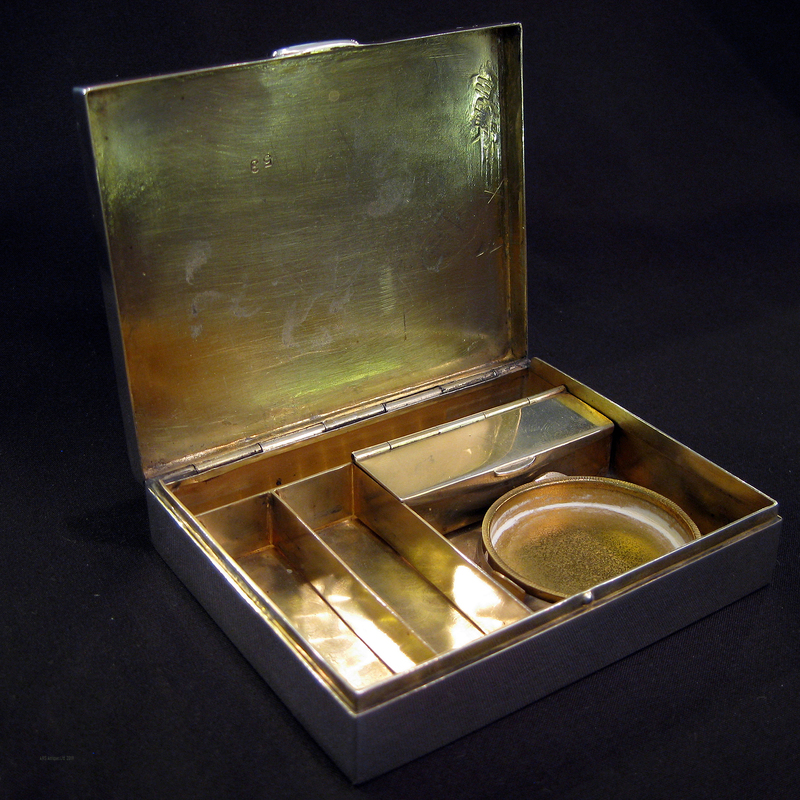 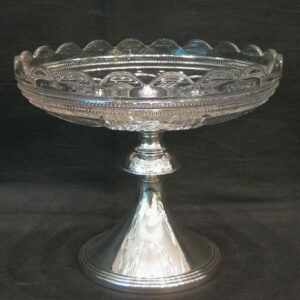 The interior has various compartments for powders/lipstick etc…all gilded in 22k. 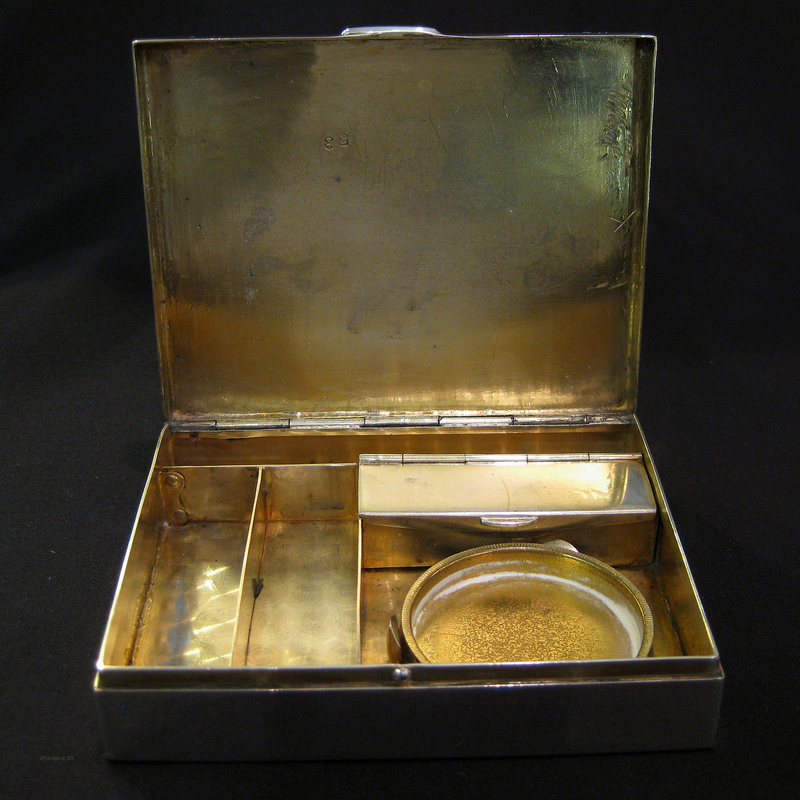 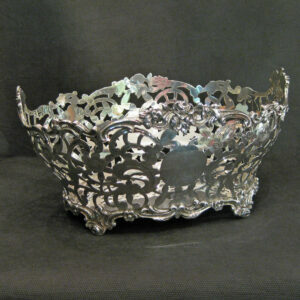 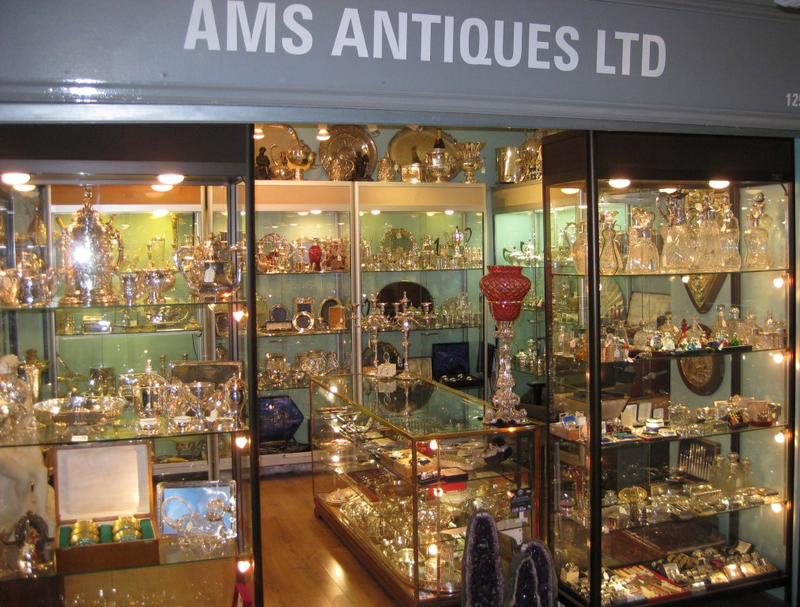 This little box is of American origin and date to c.1915.